I am a big believer in wild-harvested and wild-crafted ingredients. If you have a safe, wild space from which to harvest fresh leaves, berries, bark, and flowers, that is probably the #1 best choice you could make for your hermit crabs. Rural, uncultivated ground is the best environment for plants. But most people don't have access to a pristine harvesting area. So, dehydrated options are your next best option. If you can't get wild items, then organics are great. But variety is key to hermit crab nutrition. And it is more important to offer a variety of nutritious foods than to be strict about organics. (Some sellers are claiming that all their products are organic, but the massive variety in their stores make it unlikely that all their products are truly organic). Nutrition is more important than organic vs. non-organic. Hermit crabs don't eat massive amounts of food, so they need you to maximize the nutrients of every bite you offer (the food industry uses the term "superfood" to describe nutrient-dense foods). If you have to choose between organic Gerber baby rice puffs and a non-organic spinach...go with the spinach. Baby cereal is not densely packed with nutrients and it is not formulated for hermit crabs--and frankly, I'm a little shocked that hermit crab food sellers would repackage and offer them as such. Buy foods you know are freshly made. Crabotanicals makes their mixes in small batches to ensure that we don't make more product than we can sell in a reasonably short amount of time. Our mixes are very dry (some dehydrated foods are somewhat moist, which shortens their shelf-life), and we feel comfortable promising that your purchase will last no less than 1 year if stored in a cool, dry place in a tightly sealed container. Buy product in an accessible form. Think about the size and strength of your crab's mouth and pincers. If you put an un-cracked Brazil nut in the tank, how will they manage to break it up or eat it? Powdered foods are a popular choice and accessible even to the tiniest crab (as long as all the ingredients are known to be safe through and through--I get worried when some seeds are pulverized because they may have toxic or untested components), but crabs enjoy ripping apart flowers, leaves, and even hard substances like bark. Crabotanicals mixes usually have a mix of powdered and gently crumbled items, hoping to be transparent about the amount of each ingredient contained in a mix. Chunkier mixes also allow crabs to pick and choose according to their preferences and nutritional needs. Don't buy whole dry beans and rice unless you are prepared to cook them or sprout them before serving. If you are feeding whole uncooked seeds, be sure that the sprouted plant is also safe to eat (tomato seeds can be eaten, but the tomato plant is poisonous). Check the credentials of the maker of the foods. Who is making the product? What are their storage and preparation procedures? 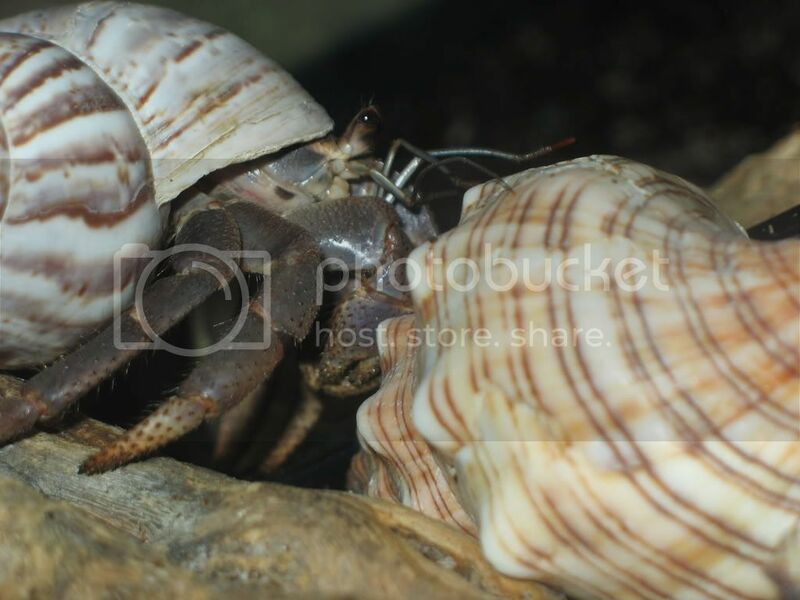 What is their reputation in the hermit crab community? What sort of research has gone into their product? The maker of Crabotanicals has been an active member of several hermit crab forums since 2005 (you may know her as Jedi_sena, jedi sena, JediSena, or Jedisena), and has openly shared her research on this blog. Beware of items that call themselves "staples" or that have a long string of ingredients. 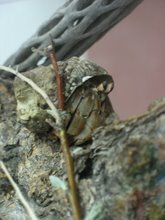 Because hermit crabs require a very wide variety of foods, it is impossible to cover all bases in a single food source. If a small container of food seems to include every fruit you've ever heard of in the same package, then there is probably an insufficient amount of "banana" to feel that you've actually offered the crabs "banana." Crabotanicals keeps their ingredient list short, so you know that if the package says "dandelion," you don't need to buy another food source that has that same ingredient. Beware of claims of "healing" ingredients. 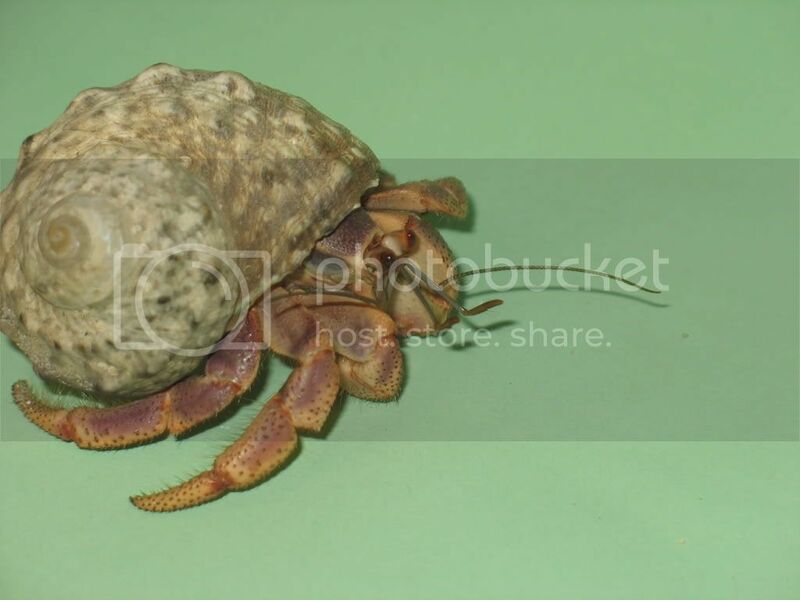 Hermit crab ailments are very difficult to diagnose and treat. Proper general nutrition and environment are the keys to preventing illness. Once an illness takes hold, there isn't any magic food that will cure your pet crab, and it is unethical for sellers to prey on crab keeper's fears just to make a sale. Don't fixate on one particular vitamin, mineral, or food category. Yes, crabs need protein, they need calcium, astaxanthin, etc. But variety of all-natural foods should be the main concern. If you have an issue with failed molts or aggression, then you need to adjust the general diet to include more foods high in these nutrients. Crabs don't need low fat, low calorie, gluten-free products. Those are human dietary concerns and should not be applied to pet-keeping unless a veterinarian directs you to do so. Make sure that ALL ingredients are on the current safe food list! 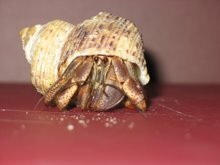 For instance, there are products out there that contain things like garlic which seem harmless, but are not recommended for hermit crabs. Be skeptical about vendors offering an extensive selection of ingredients. To ensure freshness, they need to deplete their stock rapidly. If they have hundreds of items or large quantities of each item, then they are either going to be selling ancient supplies (inferior nutrition), or the items are sold on a made-to-order basis to allow time to obtain the needed ingredients which could significantly increase the date of order fulfillment. Avoid commercial food sources. 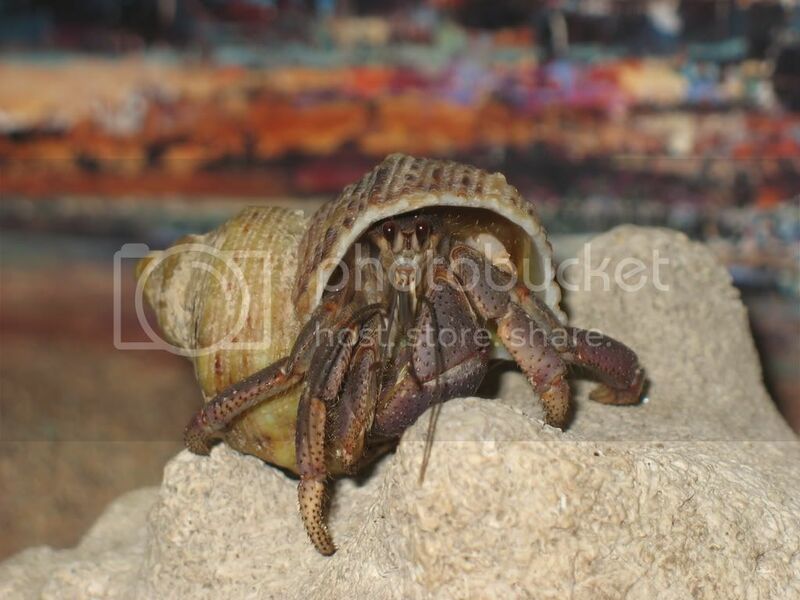 Most commercial hermit crab foods available in pet stores are full of preservatives because the manufacturers main concern is shelf life of their product, and they are NOT reformulated as our understanding of hermit crabs expands. What is a serving of food? Assuming that you offer edible climbers, substrate, and/or huts (and we recommend that you do so), we recommend that you start with a teaspoon of food in a single feeding for 1-5 small to medium crabs. If the food completely disappears, then you know you need a larger serving on the second feeding. Hermit crabs don't always devour a newly introduced food, so you don't want to waste a lot of product on the first "trial" feeding. As often as you can. How often do you eat the same food? You probably change up your diet as often as you can afford to do so and you are healthier for it. Should I choose single ingredient items or mixes? Single ingredient items give you the most control over what you are feeding, which is great if you are confident in your understanding of their dietary needs. Some crab keepers only offer single ingredients to their crabs feeling that this allows their crabs to make their own dietary choices which has some validity. However, there are very nutrient-rich foods that a crab would be unlikely to eat voluntarily. Mixes give you the power to sneak veggies into their diets, so to speak. Which food mixes should I buy? In Crabotanicals Etsy online store, we've created a combination section where multiple foods are offered together to maximize the scope of nutrients. If you're uncertain as to what to add to your pet pantry, you'd be wise to choose selection from this section. Try to choose mixes that have ingredients that you can't offer as fresh foods from your own table. If you have picky crabs, then you might try mixes that include coconut, apple, and other "favorite" foods. You should have something containing spirulina or other seaweed that you offer at least weekly. What is the difference between a treat, a food, and a supplement? Each manufacturer may have a different standard for the items they use under each term. Speaking for Crabotanicals only, we sell Himalayan Pink Salt which cannot be categorized as a food because a crab would starve if that was all you offered. It is strictly a supplement. Cuttlebone would be a supplement for the reason that you cannot live on calcium alone. A treat might be defined as something lacking in basic nutrition (really starchy or sugary or highly refined), but I don't think I've ever made any product I used that term "treat" on. A food would cover at least a good portion of some basic required nutrients. We have divided our shop into sections to differentiate each group. Why are so many of your products limited edition or otherwise unavailable? Some of the ingredients have a narrow harvest season, and we strive to make small batches of rotating food mixes to ensure that the items in our store contain the freshest available ingredients. If a seller is offering hundreds of items for sale, their items are probably made-to-order (to allow time for them to obtain ingredients needed) resulting in a significant delay in order fulfillment. Our products are ready to ship.